Dollhouse miniature christmas decorations are a must for any dollhouse! 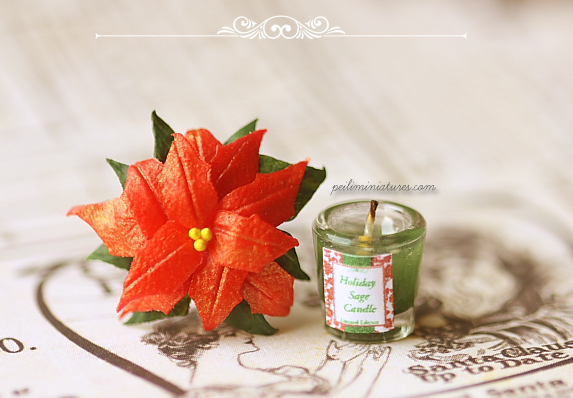 Handmade christmas candle and a bouquet of poinsettias will definitely put a christmas mood in any dollhouse setting! This listing includes both the hand bouquet of poinsettias and a christmas candle. This is an extremely versatile combination and the poinsettias can be placed anywhere - on a table or counter. Same goes for the candle! Poinsettias measures approximately 2.5cm wide and 3cm long. Christmas candle measures 1cm tall by 1cm wide.